Two of the most widely discussed "debates" concerning African American poetry over the last few years have involved anthologies. 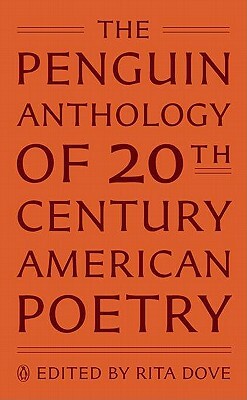 First, in the New York Review of Books in 2011, Helen Vendler offered harsh critiques of Rita Dove's editorial practices in The Penguin Anthology of 20th Century American Poetry (2011); Dove responded; and people took notice. 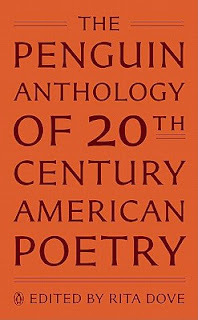 Recently, in Poetry magazine, Amiri Baraka, offered critiques of Charles Rowell's anthology Angles of Ascent: A Norton Anthology of Contemporary African American Poetry. The "debates," which in this case involved folks offering comments on social media or in blog entries taking offering commentary or choosing sides in the conversations, were prompted by reviews. Don Share, a poet and senior editor for Poetry magazine, once noted that "we seldom get responses when we publish a positive review." Accordingly, observers have conversed about Vendler's and Baraka's reviews in ways that they did not concerning the positive reviews of Dove's and Rowell's anthologies. The Vendler and Baraka reviews appeared in high-profile venues -- New York Review of Books and Poetry -- and the visibility of those periodicals may have assisted in bringing attention to the anthologies and editors, the reviews and reviewers, and issues related to poetry. It stands out to me that there have been less prominent discussions about individual volumes of black poetry as opposed to anthologies. I suspect people have positive and negative feelings about single-authored books that they read, but the most active conversations so far have related to the editorial practices concerning poetry, not so much the individual poems. Finally, it's worth noting the roles that technology have played in facilitating the debates or, more specifically, the conversations surrounding the reviews. Major newspapers typically do not cover a range of issues related to poetry, so without social media and blogs, we would not be in positions to follow the many responses that people had to those initial reviews.